You can register on this site as a Company User or an Independent user. 1.To register your company with your basic company details. 2.To register as company user or individual user. a)For registering as company user you must have Company Code. b)Individual User registration you do not require any Company Code. Making high Quality Blasting Intelligence and Optimization, available to anyone, anywhere, anytime. MineExcellence is a leading technology provider in the end to end blasting technology space globally. Our solution helps in designing, optimizing and analysing how blasts are performing. Our SaaS and Mobile based platforms are designed specifically to benefit the mining industry so that business intelligence is provided in the hands of the average blaster, blast supervisor and even the senior mine management. Our solutions are capable of estimating the blast parameters and predicting harmful impacts like fly-rocks and air/ground vibrations. It helps the designers improve and optimize blasting which can result in significant benefits operationally and eliminate potential risks during blasting. Our software is being used by small mines, large tier-1 mining companies and mining service providers across countries and mines. We at MineExcellence, believe that mining and blasting processes can be met with sophisticated optimization techniques combined with better training. And so, we also provide a Blasters Management Portal (suitable for use across mines by senior mine management) and also online learning and training for blasters. Dr. Sushil bhandari is the subject matter expert and co-founder of MineExcellence. He is globally recognized for his research in blasting. Dr. Bhandari has published over 100 papers in international journals and also is the author of many books in blasting technology. 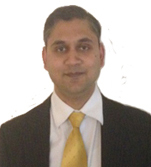 Dr.Sushil Bhandari brings with him extensive experience from both industry and academia. Dr. Bhandari holds a Ph.D. from University of New South Wales. He was also a member of Advisory Board of Indian Bureau of Mines and Standing Committee of Science and Research, Ministry of Coal, Government of India. He has received National Mineral Award 2001, of Government of India for his contribution to Mining Technology. Amit bhandari is a co-founder in MineExcellence. He has been instrumental in product technology upgrade for MineExcellence and ensuring that it is built on the latest and greatest digital platform. He has extensive experience in technology entrepreneurship and has built successful technology services and product firms. Prior to his entrepreneurial career , Mr. Bhandari has previously worked in executive positions in Leading IT consulting companies such as Accenture, PwC Consulting and IBM in Melbourne. He did his masters from Melbourne university with a first class honours and was awarded an APA scholarship. Our Advisory board has senior industry practitioners (Former CEO's etc.). They are mentors, advisers and well-wishers to MineExcellence. 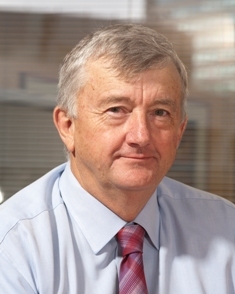 Peter McCarthy is the Chairman Emeritus of AMC Consultants, a prominent mining consultancy group employing 150 staff and providing services exclusively to the minerals industry. Previously he has served as Managing director for AMC Consultants. He has also served as a Director of the Victorian Chamber of Mines and the Australian Gold Council. Peter was the president of the Australasian Institute of Mining and Metallurgy for 2007 and 2008 and is also a Director of Castlemaine Gold fields Limited. He is Chairman of the Heritage Committee of the AusIMM and a Life Member of the Sovereign Hill Museums Association. Peter McCarthy did his Bachelor of Science (Mining Engineering) from the University of NSW. He also did a Master of Geoscience (Mineral Economics) at Macquarie University. Josephine Too is the Chief Growth Catalyst of Sofos Advisory, it helps growth stage company to scale in a sustainable way. She is passionate about business growth and in scaling companies through a systematic approach or by creating new market through category design. Her growth experiences include building a fortune 50 account from 0 to 32 Mn in 2 years with Infosys (NASDAQ:INFY) while it scaled from 100Million to 1 Bn within 5 years. She started Infosys Singapore and Germany offices, headed up Sales & Marketing for China and drove complex 100Million deals in Australia. 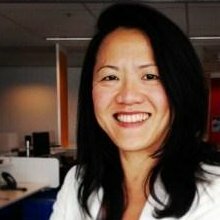 In her last role as Executive Vice President, Head of Asia Pacific for Aurionpro (NSE: AURIONPRO), she doubled the ANZ business for consecutive 2 years. With more than 20 years of experience in strategy consulting, general management and growing technology businesses across APAC and Europe, she brings clarity in strategy and focus in execution to all her ventures. Currently, she serves as Executive Advisor, Non-Executive Director and Advisory board members to several SMEs. She holds a Bachelor in Civil & Structural Engineering from Nanyang Technological University in Singapore, sat on the State Board of the Australia Computer Society (2013-2015), created the Entrepreneurship & Innovation Special Interest Group for Victoria, and was a frequent Judge of the Premier iAwards for ICT innovations (2012-2015). 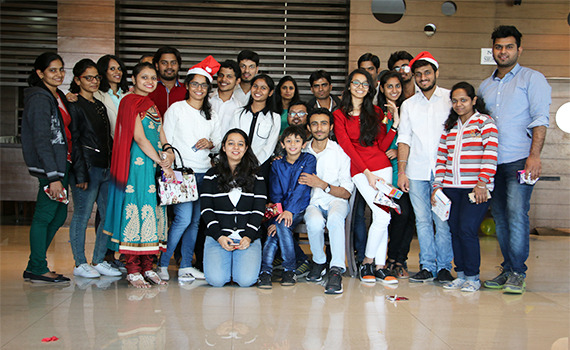 We have a large technology development team of 40+ people. This includes mining engineers, software developers, testers, business analysts etc. We also have people who specialize in UI/UX and also in mobile application development. We have created a high quality technology team with deep domain expertise and ability to create technology innovation. We aim to be the leading technology provider to the mining industry in the next 2 years. All Rights Reserved 2018 MineExcellence. You may update Your Personal Information via MineExcellence Account at this Website. If You should become aware that Your Personal Information with MineExcellence is not complete and accurate, You shall promptly update Your Personal Information via MineExcellence Account. We also use Malware Scanning. And we use an SSL certificate as well to protect your content from third party. We will notify the users via email within 7 business days. If at any time you would like to unsubscribe, you can email us at and we will promptly remove you from ALLcorrespondence. In accordance with the applicable law, MineExcellence will provide You with access to Your Personal Information and, as appropriate, the right to intervene in respect of Your Personal Information. You may also be entitled to object to the processing of Your Personal Information by MineExcellence or to request the deletion of Your Personal Information. When you register, you are registering or subscribing as a company, company user, or individual user of MineExcellence. Company user will register with specific company code. Access to registered user content and subscription areas are via your [email address or username and password]. (i) Your email address and password are personal to you and may not be used by anyone else to access MineExcellence. (ii) You will not do anything which would assist anyone who is not a registered user to gain access to or sell any content contained in the registered content or subscriber areas of MineExcellence. (iii) You do not maliciously create additional registered user or subscription accounts for the purpose of abusing the functionality of the website, or other users; nor do you seek to pass yourself off as another user. (iv) You comply with these terms and conditions. If, for any reason, we believe that you have not complied with these requirements, we may, at our discretion, cancel your access to the registered user and subscription areas of MineExcellence immediately and without giving you any advance notice. If we wish to bring the agreement to an end, we will do so by emailing you at the address you have registered stating that the agreement has terminated. The agreement will terminate and your email address and password will become invalid on MineExcellence immediately. You can also terminate this agreement and your account at any time by emailing your notice to us at but your information may remain stored in archive on our servers even after the deletion or the termination of your account. For the purposes of these terms of service, "material" means material including, without limitation, text, video, graphics, photographs and audio material, published on the MineExcellence website, whether copyright of MineExcellence or a third party. You may download and print extracts from the material and make copies of these for your own personal and non-commercial use only. You must not reproduce any part of MineExcellence or the material or transmit it to or store it in any other website or disseminate any part of the material in any other form, unless we have indicated that you may do so. We may be prepared to allow you to distribute or reproduce other parts of MineExcellence or the material in certain circumstances. Please email us if you wish to apply for permission to do so. To the extent permitted at law, we do not accept any responsibility for any statement in the material. You must not rely on any statement we have published on MineExcellence without first taking specialist professional advice. Nothing in the material is provided for any specific purpose or at the request of any particular person. For the avoidance of confusion, we will not be liable for any loss caused as a result of your doing, or not doing, anything as a result of viewing, reading or listening to the material or any part of it. We do not warrant that MineExcellence or any of its contents is virus free. You must take your own precautions in this respect as we accept no responsibility for any infection by virus or other contamination or by anything which has destructive properties. Although we will do our best to provide constant, uninterrupted access to MineExcellence, we do not guarantee this. We accept no responsibility or liability for any interruption or delay.